A prince of Wallachia needs a throne. The problem with this particular prince was that his father was in exile. The next problem, that this prince faced was that the principality of Wallachia was under the control of a larger Empire. This Empire was ruled by a man who lived far away from Wallachia ( part of what would become Romania) and he wanted his throne. As for his name, his father was known as Vlad Tepes II Dracul. This Empire was known as the Ottoman Empire and for much of the Middle Ages controlled parts of Eastern Europe. This would include places which would become the countries of: Greece, Romania, Serbia and others. According to many they wanted freedom from the Ottomans. In many maps it seems as if Ottoman Empire was as large as the Roman Empire. It might have been. 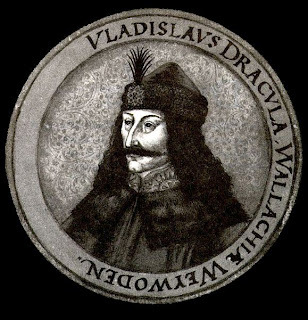 Again, this is a very big land, and Vlad Tepes wanted power as well. He was exiled to Transylvania, and later to Hungary only to die at the hands of the Empire he both helped and hindered.